In August 2017, the Uganda Communication Commission organized the fifth edition of their annual Uganda Film Festival (UFF). With the edition that was dominated by Hassan Mageye and his Devil’s Chest, the organizers were completing the first circle they started way back in 2013. In one of the speeches, Meddie Kaggwa, the Head of Multimedia Services at UCC, noted that when the festival had just started, they welcomed submissions from as early as 2009 and yet the quality remained low. The festival then went on to award films like Matt Bish’s State Research Bureau, Dilman Dila’s Felista’s Fable, Richard Mulindwa’s Freedom and Kenneth Ssebaggala’s House Arrest among others in the ensuing years. What will take place on Friday’s awards gala will be the sixth but also the beginning of the next five years of a festival that has from the first year received resistance from different sections of the industry. For instance, many believe that the festival is a one-week event which dies off immediately after the final award is handed out at the gala. Yet, looking at some of the moves the organisers have pulled this year, there is a reason to have hope in the next five years of the festival. 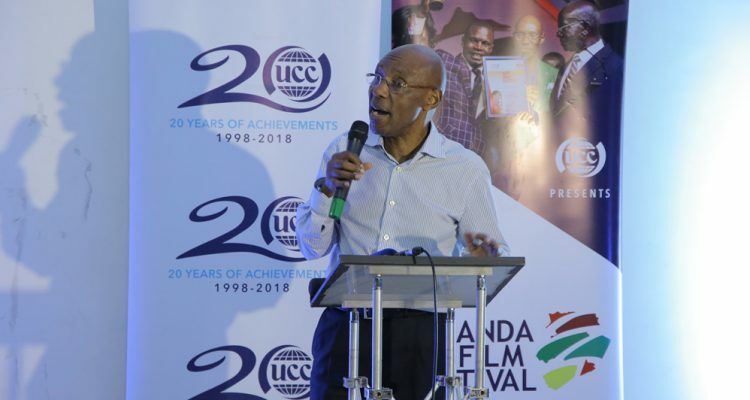 For instance, it should be noted that this year the festival has decided to go to the people in the communities across Kampala – since the festival started, filmmakers had decried the empty cinema halls most of the times their films screened. This was because the timing mostly chosen to have the screenings coincided with working hours, and it was never one of the cinema’s peak hours. And of course, for the audience that a local filmmaker wanted to attract, many believed it was not the cinema type but the local shacks. This year, the festival listened and much as they did not go to shacks, the screenings were public and free that even with little publicity for all of them, they were well attended. “Festivals are funny things, they screen your films to an empty hall thus, I can go for such an open screening any day,” noted a filmmaker while catching up on a screening in Kamwokya Market. Though besides taking the films to the public, this year a suspicious Viewers’ Choice Award was thrown into the mix, the award at many festivals internationally is so important that at Toronto International Film Festival, the award has gone to many films that eventually won Best Picture at the Oscars. Much as the award was welcomed, the problem with it was a fact that there were nominees for it, leaving many to wonder what will happen if the audience enjoy more a film that was not nominated. The four films vying for this award are Veronica’s Wish, 94 Terror, The Appointment and Bella. All these films have been accorded corporate screenings and audiences have had a chance to rate them and it will be from these rates that a winner will be picked. It is a good initiative that in the next five years if consistent will involve the audience more than the past editions did. And with the emergence of Pearl Magic on DSTV, there is an expected quality and quantity improvement which in one way or another will impact the festival. The UCC award gala for the festival takes place this Friday.